One contest has a clear winner; the other, not so much. 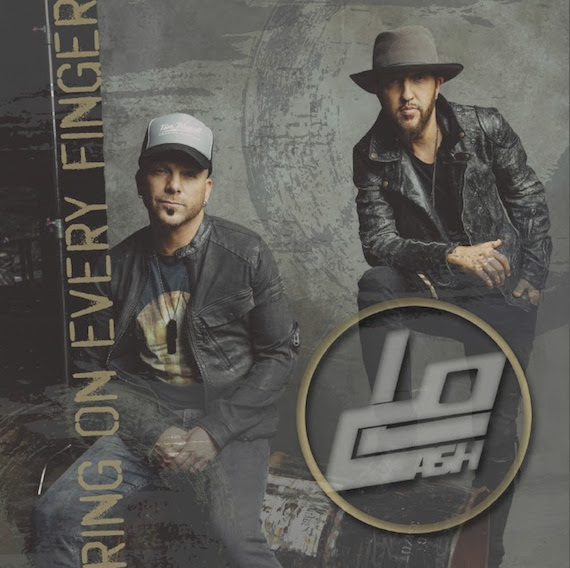 There’s no question but that LOCASH has the coolest sounding single of the week. Taken from the duo’s CD The Fighters, “Ring on Every Finger” is the obvious Disc of the Day. In our DisCovery Award department, confusion reigns. Even if you divide it up into categories, you can’t see clearly. Okay, the group winner is The Warhorses. The female winners are Hadley Park. And then you get to a tie between Jamie Kent (the stronger songwriter) and Troy Cartwright (the stronger singer) in the male category. Listen to ‘em all, and make up your own minds. -She sings strongly, although there’s nothing particularly distinctive about her style. The assertive song and tasteful production are both solid. – Country as can be, yet ultra modern sounding. The loverboy lyric, catchy tune and plaintive delivery are augmented by a super rhythmic track and clever production touches that keep your ears perked up throughout the playing time. Utterly delightful. Highly recommended. – The title tune of this kid’s CD is a rootsy, rollicking, harmonica-punctuated track with a very cool lyric about tolerance and diversity. Choice. – Bobby Bones and company have a new children’s music CD called Kiddy Up! This tune teaches the little ones about our solar system in a highly catchy white-boy rap. Fun for the little ones. – The harmonies of this female duo go down as smoothly as blended scotch. I enjoyed this hooky, reminiscing title tune of their seven-song EP so much that I stayed tuned for the whole collection. The understated yet punchy and supportive production stays out of the way of their superbly rehearsed, flawless performances. Wildly promising. – Uptempo, jaunty and smiley, with a retro pop vibe. – A tenor voice languishes in an echoey atmosphere while guitars and steel sigh and swoon wistfully in the dark. This gorgeous thing is one of the most perfectly produced ballads I’ve heard all year. Essential listening. – Young lovers on the loose with tunes, a set of wheels and romance on the brain. The tempo chugs along nonstop while this fine singer soars skyward. Radio-ready ear candy. Get up and bop along. – He may be in the Country Music Hall of Fame, but Charlie McCoy still has plenty of steam in his boilers. He heats up this toe-tapping story song every time he sings or his harp lets fly. -Country-rock perfection, complete with a heartbeat rhythm undertow, chiming guitars, hearty harmonies and a drawling, regular-guy lead vocalist. Whoever these guys are, I’m a fan. Turn it up.